Are Employers Responsible for Scents and Smells in the Workplace? The Americans with Disabilities Act makes it unlawful for employers to discriminate against individuals with disabilities. Since the law passed in 1990, there have been a number of legal decisions to determine who is a “disabled person.” It is an employer’s duty to reasonably accommodate requests made by disabled employees to allow them to perform their job duties. This may include making a restroom accessible, or lowering a work surface so a person in a wheelchair can reach it. In the case of people who are sensitive to chemicals and scents, how far does an employer need to go to accommodate them? A recent case in Detroit provides a clue. 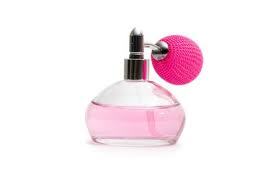 A city planner submitted a claim against the City of Detroit that she was allergic to a co-worker’s perfume. She won a monetary settlement ($100,000) and the City had to adopt a “no-scent” policy, where employers working near her must refrain from wearing scents: cologne, perfume, after-shave and hair products. The court found that the city did not make a reasonable accommodation for the city planner—there was no policy enacted, asking for restrictions on the use of perfume; there was no attempt to move the planner so she wouldn’t have to suffer the inability to breathe; and there was no attempt to have the perfume-wearer simply stop wearing perfume. Employers don’t necessarily have to write a “no perfume” policy or install expensive air filtering systems when a staff member informs them of chemical sensitivity. Making reasonable accommodations is all that is required. Employers may also ask the suffering employee for verification that the condition actually exists. But the lesson from the City of Detroit case is clear. When a worker makes a complaint about conditions interfering with their ability to function (like breathing, for instance), the employer may be held liable for ignoring the problem. It’s certainly less costly to enact a simple policy to make the air easier for everyone to breathe than to defend your actions (or inactions) in court! Can “Toxic Bosses” be a Business Liability? There are strong feelings on both sides of this argument; but today we’ll focus just on the information employers need to be aware of. The Healthy Workplace Bill gives employers incentives to prevent workplace bullying with policies and procedures that apply to all employees. The bill would protect “workers from what can be considered malicious, health-harming abusive conduct committed by bosses and co-workers.” Is such legislation necessary? Some say yes; others say no. A survey conducted by The Workplace Bullying Institute in September, 2010, which found that 64% of all respondents supported such a bill, while nearly 24% were opposed. 12% had no opinion or were not sure. 17 states have introduced legislation in recent years to curb workplace bullying. None have become law, but in New York, the Senate recently passed a measure that would allow workers who have been abused on the job—either physically, psychologically or economically—to sue their employers in civil court. The bill applies to organizations of all sizes—not just larger employers. It holds employers responsible for bullying behavior of workers and supervisors. Some experts think that if New York’s measure becomes law, a chain reaction across the country is likely to occur. The bill includes a broad definition of bullying, including repeated insults, epithets and derogatory remarks. It also includes “conduct that a reasonable person” would find humiliating, intimidating or threatening. Employers are already seeking advice on how to avoid litigation from some New York law firms. Others already have a handle on creating a positive, anti-bullying culture—always a good idea, but especially now. New York’s anti-bullying legislation says that employers “may not be held liable if they take steps to prevent or promptly correct abusive behavior. 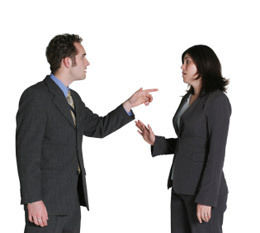 Create a policy that prohibits bullying by supervisors and co-workers. Avoid hiring workers with a history of bullying (pre-employment background screening is a must). Avoid hiring workers with abusive tendencies by asking the right interview questions. Provide training on proper workplace behavior for all employees. Take a look at your own management style: high turnover and yelling are good indicators that you could be perceived as a bully. Defining the difference between discipline and bullying is a tough one—but if in doubt, ask your employees. Some reports say that between 16% and 21% of employees have experienced “health-endangering workplace bullying, abuse and harassment.” Florida State University’s College of Businesses conducted a survey in which 23.5% of respondents working for companies with 100 or fewer employees reported experiencing supervisor bullying on a weekly basis. The number for 100+ employee organizations was slightly less, at 21.3%. And the survey says… more Human Resources professionals are using social networks to augment or replace traditional recruiting techniques. According to a social recruiting survey by Jobvite, an online social recruiting service company, 83% of businesses polled said they are already or planning on using social networks to find new employees this year. In the sense that referral hires in general are stronger and of higher quality, it’s fitting that social network recruiting would be a natural way to attract the great-fit employees who already know about your company and are inclined to stick around longer. Why less on job boards? Respondents rated job boards last for candidate quality; referrals were rated highest. Only 17% of companies surveyed planned to spend more on job boards in 2010 than they did in 2009. Another interesting fact is that Jobvite’s first survey in 2008 showed that more than twice as many recruiters used LinkedIn than Facebook as a social network recruiting tool; Twitter didn’t even appear as a response to “what social networks do you use for recruiting?” This year, 78% of those surveyed indicated they use LinkedIn, 55% use Facebook and 45% use Twitter. HR managers are also using social network tools to research candidates through LinkedIn (over 70%) and Facebook (nearly 50%). About 60% used search engines to research job seekers—perhaps as simply as Googling each name. With both the cost of recruiting and the number of candidates for every position going up, it can make sense to take advantage of low-cost or free tools to improve the quality of your next group of job interviewees. And don’t neglect to conduct thorough pre-employment screening before you hire! No social network will tell you whether a new hire has a criminal history or is a financial risk to your company. Many employers offer employee assistance plans to help staffers find child care, elder are, legal counsel or financial services. These plans are good for employees, offering a lifeline to help when they really need it. They’re good for employers, too. Employee assistance plans foster loyalty and reduce the stress level to make the workplace a better place for everyone to be. ComPsych is a company that offers employee assistance plans to over 13,000 companies worldwide. They track calls to monitor trends regarding what employees need help with. Their latest report shows that more calls from January to June of 2010 were about housing than any other category—even child care. Since ComPsych started tracking employee assistance calls in 1984, child care issues were the number one reason employees called. Not so this year. Of the 25,000 calls received from January to June 2010, 41% were moving-related. 77% of these callers needed help finding an apartment, and two-thirds of them said it was related to foreclosure. Not only were housing-related calls up 14% over this six-month period, but requests for help with child counseling increased 12% from the same period the year before—perhaps due to increased child trauma around housing issues, like foreclosure and moving. Calls for help with elder care and health care issues remained steady at 17% and 10%, respectively. Child-care calls dropped nine percentage points from the first six months of 2009. With many parents out of work, perhaps child care is one less worry to deal with. But the spike in housing assistance calls is reflective of the continued housing crisis in the U.S.
Now, as banks and mortgage companies across the country announce freezes on foreclosure proceedings, thousands of homeowners who are behind on their mortgages will likely be able to stay in their homes for the foreseeable future—not making mortgage payments and not facing eviction. Perhaps the number of housing assistance calls to ComPsych will decline over the next six months.